Vancouver, April 26, 2018 – Similar to the rollercoaster ride experienced by first-time parents, owning your first home can be an exhilarating yet unfamiliar experience. Knowing and preparing for what to expect on the homebuying journey is often half the battle, and can help cut down on unexpected surprises. A new survey by TD reveals that more than half (56 per cent) of Canadian first-time homebuyers are anxious and afraid that they’ll forget to take a crucial step as they gain their foothold on the property ladder. It’s no wonder that nearly one quarter of those polled (24 per cent) say that the homebuying process is stressing them out, while one fifth (21 per cent) admit they are simply overwhelmed. The survey findings also reveal that seven out of ten (71 per cent) first-time homebuyers are worrying about being hit with unanticipated costs during the homebuying process. , At the same time, many of those surveyed aren’t taking the steps needed to prepare when purchasing a home. Just 39 per cent are taking steps to reduce their debt, with less than a third (28 per cent) working to improve their credit score. First-time parents are often advised to get financially “ready” as they prepare to make the big decision to have kids. Similarly, you’ll want to feel financially “ready” when making a decision as important as buying a home. 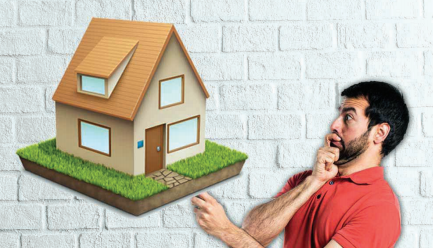 Before applying for a mortgage, it is a good idea to get your own ‘financial house’ in order. The TD Mortgage Affordability Calculator is a helpful tool – it uses financial information provided by the potential buyer to help them understand how much home they may be able to afford after monthly expenses, debt payments and savings are accounted for. From diapers to daycare and everything in between, the costs associated with caring for a newborn can add up fast. Similarly, firsttime homebuyers will quickly find out there are many expenses associated with buying a home. The survey found less than half firsttime home buyers had planned for appraisal fees (49 per cent), mortgage default insurance (47 per cent) or closing adjustments (41 per cent). The best advice is to be aware of all the possible costs you could face so you don’t get hit with an unexpected expense. As first-time parents find out soon enough, every baby is different; first time home-buyers also learn that not all mortgages are the same. The TD survey revealed that more than half (52 per cent) of first-time homebuyers are uncertain which type of mortgage would be the best fit for their needs and lifestyle. Meeting with a financial advisor can help determine the best mortgage type to help meet your personal financial situation. Similar to parenting, the costs of owning a home continue for years to come. Once you close on your home purchase and pay all closing costs, don’t make the mistake of assuming your mortgage payments will be the only home-related expenses you’ll face. From property taxes to maintenance costs, there are lots of responsibilities and expenses that come with owning a home. It’s well-known that new parents are typically very protective of their children, and often child-proof their home well before their child is on the move. Protecting your new home is also critical. Most first time home-buyers (70 per cent) are prepared for the costs of home insurance. Having the right insurance can help you feel at ease with your specific circumstances and help ensure there are no surprises down the road if crisis or catastrophe hits. TD commissioned Environics Research Group to conduct an online survey among a total of 1,001 adults from February 5-14, 2018. All respondents had to be 18 –69 years of age, be a first-time home buyer and reside in Canada.